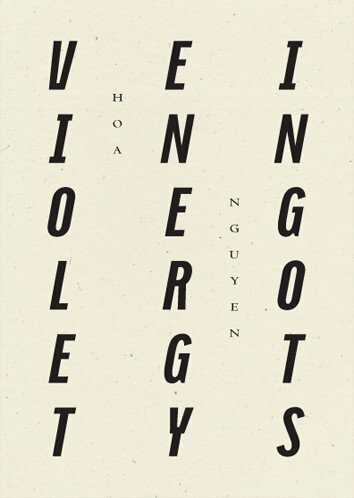 diaCRITIC Eric Nguyen reviews Violet Energy Ingots, Hoa Nguyen’s newest poetry collection. The best of Hoa Nguyen’s poetry is challenging. There is no hand holding and very few concrete objects to grasp. What is there to grasp is a hodgepodge of voices and influences, and when readers do get ahold of these, the poet only snaps them away to redirect our attentions elsewhere. In lesser hands, this could be problematic, but after twelve chapbooks and now five full-length collections, it’s a hallmark of Nguyen’s poetry. “I love when poems disrupt expectations, are dissonant, cut and bend in unexpected ways,” she says in an interview with The Rusty Toque. 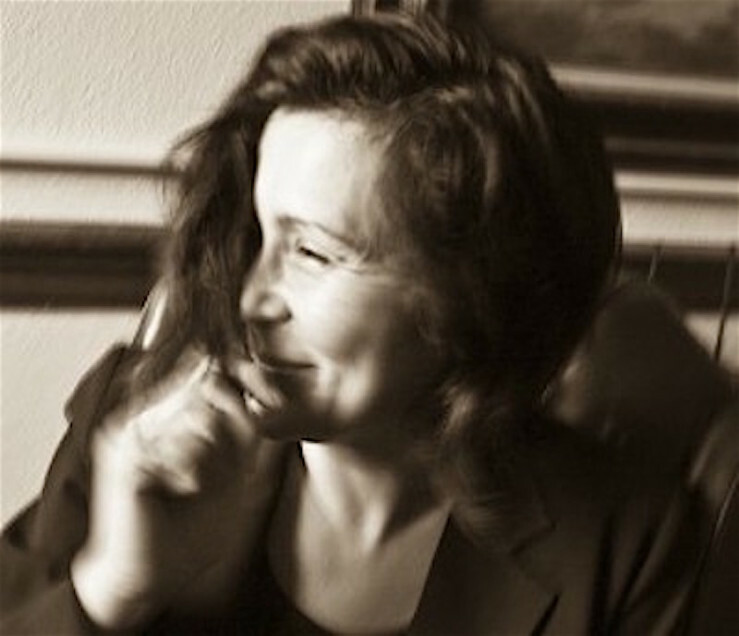 The technique allows for meaning-making by readers, she later states, making the reading of any one of Nguyen’s poems a daunting yet liberating task. or a wisp of the tail? Within eight lines, we go from a literary historical reference (“Ezra [Pound] without books/in the open-air ‘tiger cage’”) to Greek mythology (“Aphrodite”) to Chinese astrology, the trail of thought ending with a tongue in cheek question. These moments lend themselves to a surprising intimacy in poems where we don’t expect it. Indeed, the avant-garde tradition Nguyen writes from is often impersonal and focused instead on deconstructing language. Nguyen does this same deconstruction, but at the same time, readers are thrust into the speaker’s steam-of-conscious-like thoughts. The personal is important in Violet Energy Ingots, which charts different terrain from the author’s previous works. Of course, history and politics (and Vietnam) have always been present in Nguyen’s previous poetry. In As Long As Trees Last, Nguyen’s previous collection, poems like “Agent Orange Poem” and “Rage Sonnet” reference the violence of the Vietnam War. But in such instances, the speaker is removed. She is neither casualty nor culprit, but a reporter or viewer (from afar) of events. The poems in Violet Energy Ingots sees the speaker situating herself into history and into the world. Nguyen, however, doesn’t limit herself to the history of the Vietnam War. She interrogates American and world history (“Who Was Andrew Jackson?,” “Pharaoh”) and her own guilt of finding joy in calling Machiavelli “a secret hero of mine” (“Machiavelli Notes”) and using “3rd-world-made” Christmas ornaments, that is participating in exploitational capitalism (“Thread Cord”). That these moments of historical and material critiques happen in the same instances of mundane life, such as cooking or taking care of children, implies that history is deeply ingrained into our personal lives and existences. In such a light, the project of Violet Energy Ingots seems to be not how to reconcile one’s personal life with the history of oppression, but how to own up to both the oppressions we’ve experienced and to the oppressions we perpetuate. Such politics makes Nguyen a powerful poet, whose message isn’t one of protests and rallying cries but rather one of knowledge: the necessity of understanding what has happened and where we can go. Nguyen doesn’t have all the answers; in one of book’s most powerful poem (“A September Eleventh Poem”) the speaker tries to explain the 9/11 terrorist attacks to her children, but fails in a futile “fucked what-if/fucked as if.” Nevertheless, Nguyen’s poetry seems to be the first step towards building utopia. This seems to summarize what Nguyen does. Her poems in their energy let us soar, but her critical exploration of history reminds us that we all have “heavy wings.” She ends the poem on an optimistic note: “I should like to see a flower.” There is messy beauty in these poems and beauty in Nguyen’s vision.